Helmed by Hector Armienta of Opera Cultura, R/OPE features a creatively gathered quartet of performers including master beatboxer/rapper Emcee Infinite (Carlos Aguirre), acclaimed soprano Alexandra Sessler, and cellist and composer Cellista (Freya Seeburger). 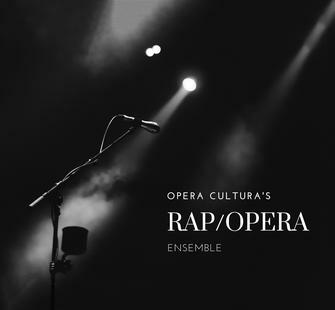 R/OPE fuses the storytelling power of opera and hip hop into a powerful platform, drawing on the narratives of at-risk youth and reimagining the art form of opera to encompass one of the primary social musical languages of today – hip hop. The project furthers and supports the mission of Opera Cultura by exploring the cultural experiences of the community through musical theater and opera while providing opportunities for the community to participate as creators, learners, and performers. Would you like to apply for a bus subsidy? If yes, what is the approximate cost of your bus or buses? Will your group be having a snack or lunch on the property? If yes, when will you be having your snack/lunch?